Fightstick Boards & Encoders from Xin-Mo Co.,Ltd. 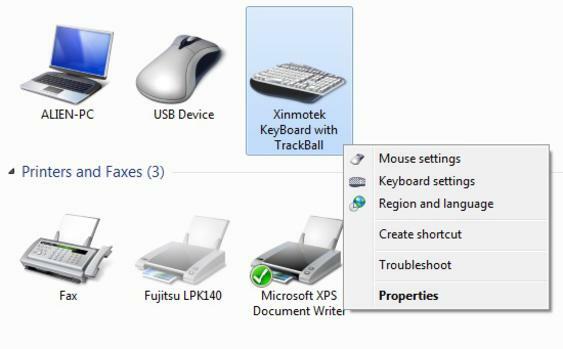 When you configure the device as a keyboard and trackball, you can custom the key value of the keyboard as your wish. The configuration software was written by Python 3. It CAN NOT be compatible with Python 2. Download from here. About how to install these software in Linux, Mac, Raspberry Pi or other system, you can google it. If you install these software successfully, make the device in Programmer mode and next run xm_setup.py. If you see this screen means the software communicated successful with the device via USB protocol. 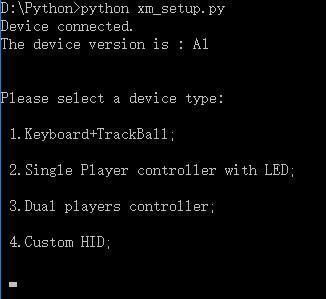 If you hope this device as a keyboard+trackball and custom keyboard keys, you need to edit the xm_setup.py before run it. Other mode no need edit this file. How to enter programming mode? 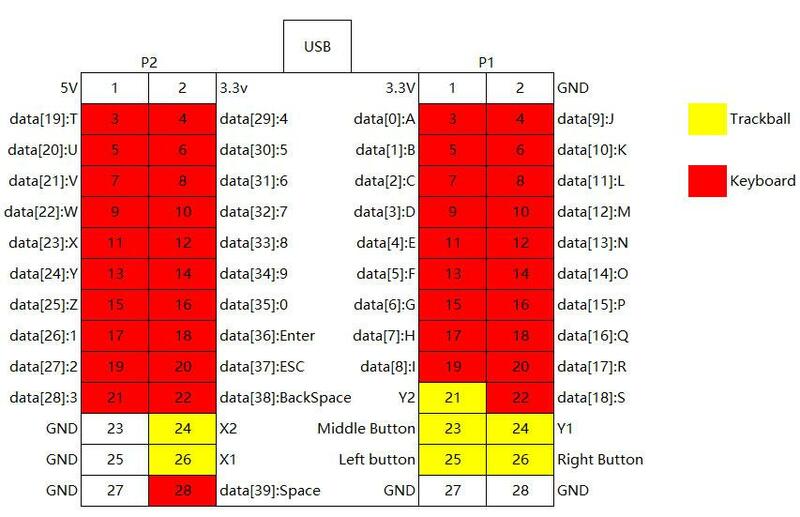 Whatever which kind of device mode, keep the 28th pin of P2 connect to GND before power on the device will enter the programming mode. The configuration software only can communicate with Programmer mode. 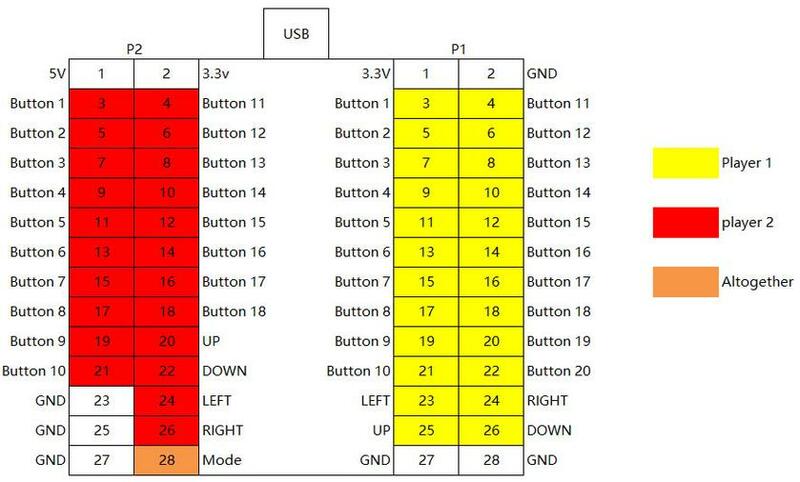 The LEDs effect configuration can store in the device when power off. Using UP + Mode to switch LEDs effect. When the device power on, all LEDs will blink a few times. 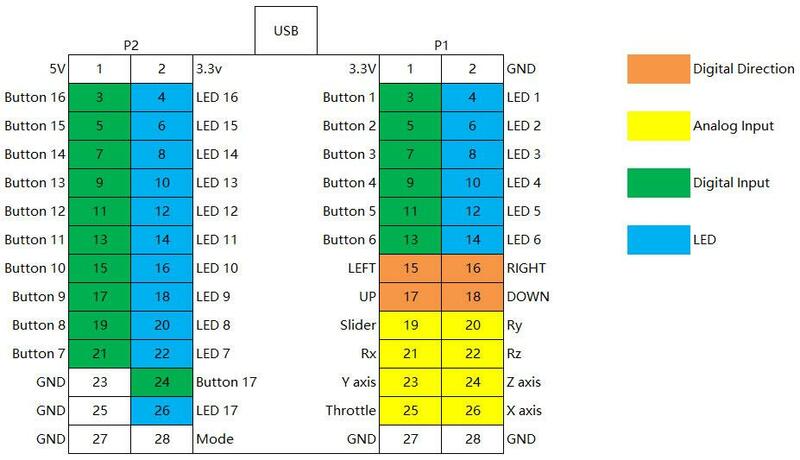 This will help to check the wiring of LEDs is correct or not. If you are watching more careful you will find the blinks are Morse code 73, means best regards. Yes, I am a HAM. 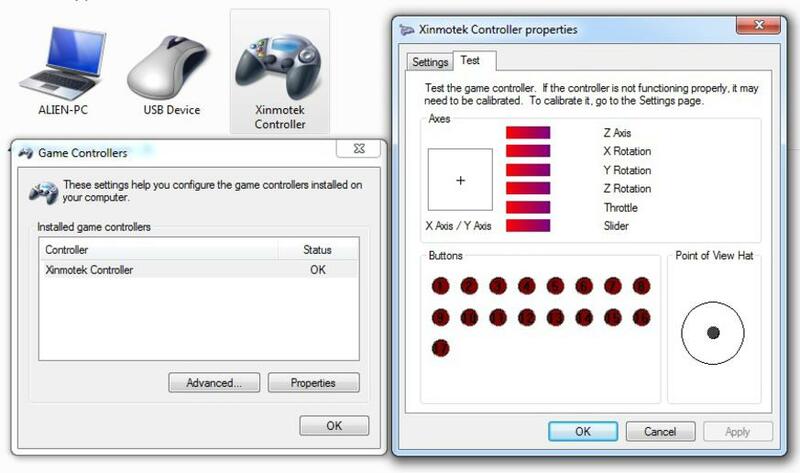 When it works in digital input mode, direction control can switch between X/Y axis and Point of View Hat by mode button. Even power off the device will remember your choice. Please note: USB port provided current is 100mA max. Analog inputs require potentiometers. It supports 2 players at same time. 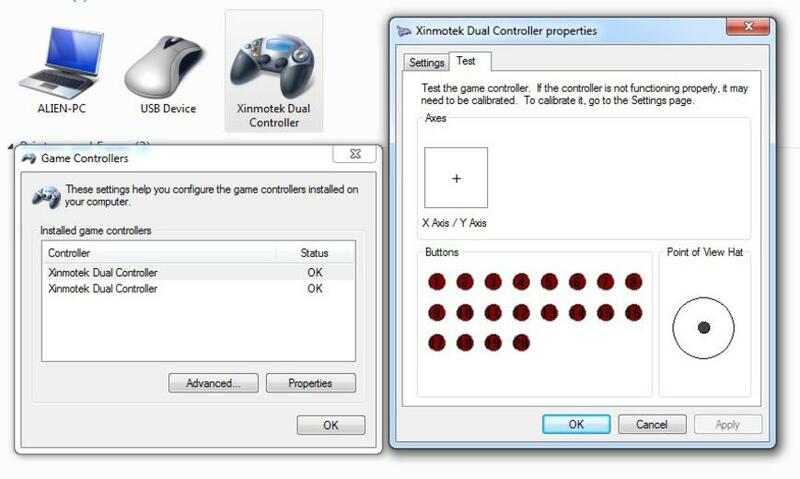 Player 1 has 20 buttons and player 2 has 18 buttons. Direction control can switch by mode button. 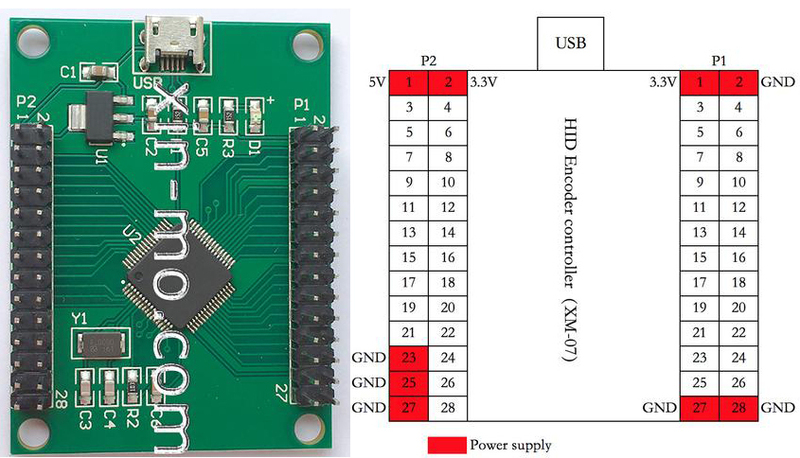 What is the quadrature encoder singal? A pair of signal include two identical pulse signals, differ in phase by 1/4 cycle. So, X axis has 2 pins, X1 and X2. Likewise Y axis. I recommend using this interface trackball. It is simple, only mechanical and optics, no additional chip. Fast response and low cost. 2009-2018 xin-mo.com, xinmotek.com. All products and websites designed by Jerry Yu(cnjerryu@gmail.com).